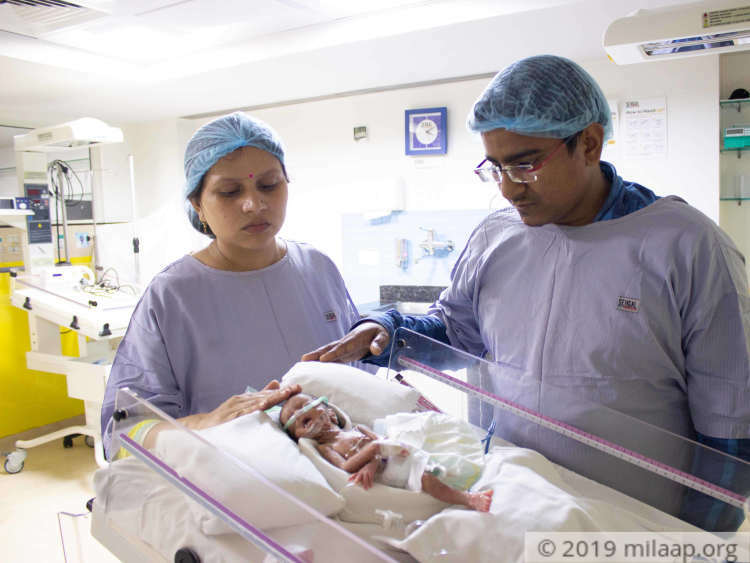 Raj spends the first half of his day saving others’ lives, and the rest of the time struggling to find a way to save his 25-day-old twins who are fighting for their lives in the NICU. Whether it was a Diwali puja at home or a visit to the temple, all Rukmini ever prayed for was to have a child. 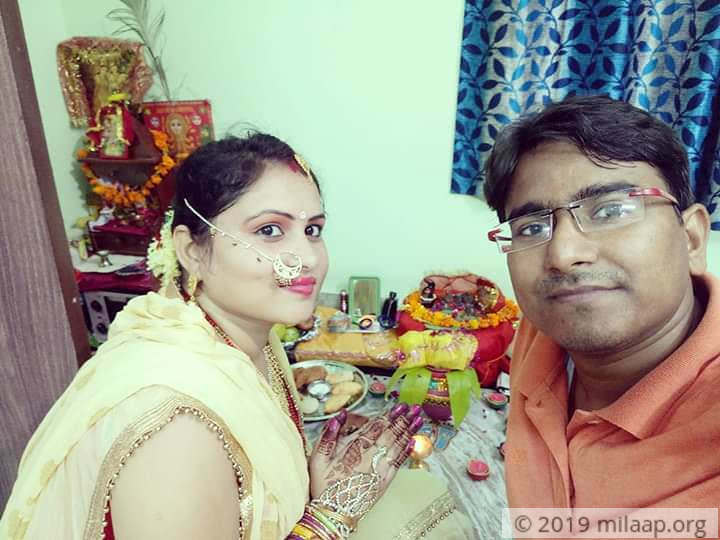 Her prayers were answered – Rukmini and Raj were expecting twins. Unfortunately, in the 6th month of her pregnancy in March, she experienced severe labour pains. 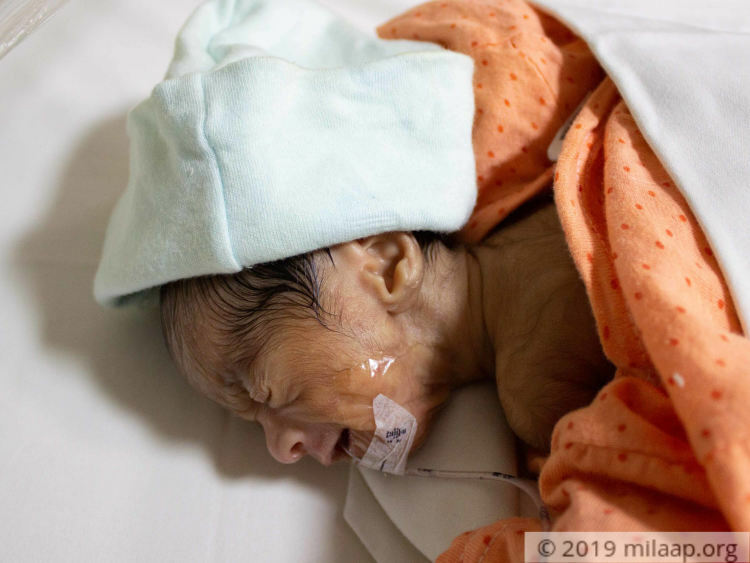 Raj and Rukmini’s twins were born extremely premature and underweight. 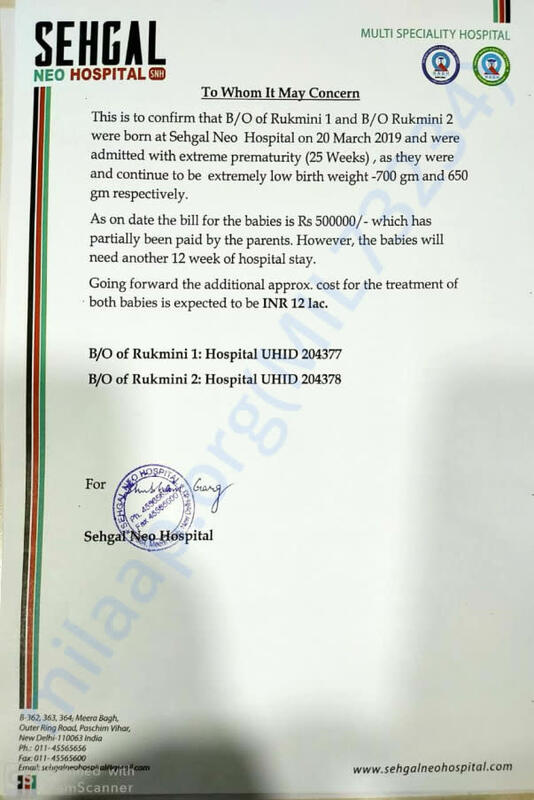 Their baby girl was 700gm and their baby boy was 650 gm at birth. Both couldn’t breathe on their own and were immediately rushed to the NICU. Their baby girl is now slowly gaining weight and she is off ventilator support. However, their baby boy is still on ventilator support and IV fluids. They both need to stay in the NICU for at least 12 more weeks to survive. Raj is a doctor at Sanjay Gandhi Hospital, Delhi. He has spent over 5 lakhs till now, and with this, all his savings are now over. Raj and Rukmini need your help to save their twin babies and take them home, healthy. You are their only hope left. The newborn twins need to stay in the NICU longer to survive, this is their only chance.